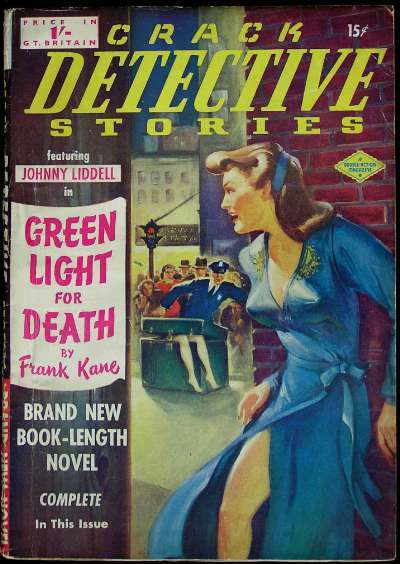 Reprint of the July 1949 (US) issue. Date based on Atlas advert. Details supplied by Terry Gibbons. 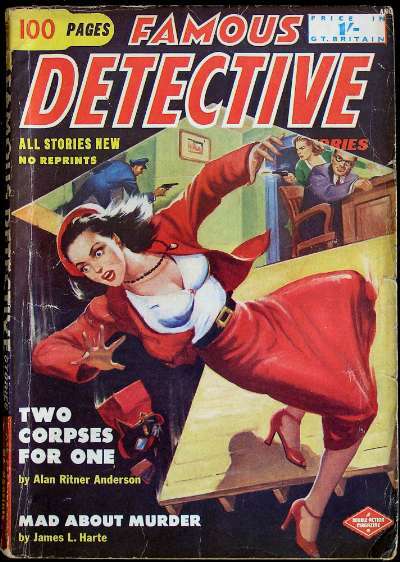 Partial reprint of the November 1949 issue of Famous Detective, plus a single story from Super-Detective. Date based on Atlas advert. Details supplied by Terry Gibbons. 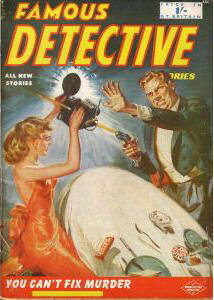 Title changed from Crack Detective Stories (UK). Partial reprint of the June 1950 (US) issue. 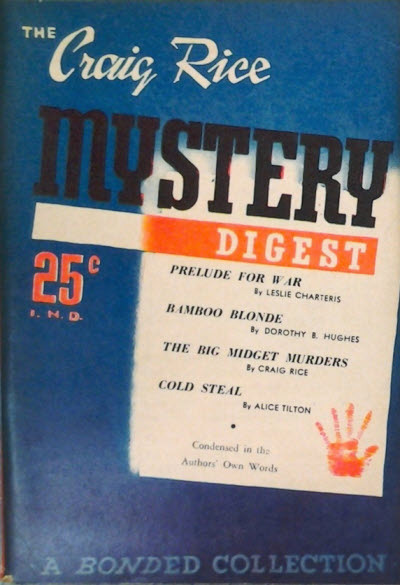 Partial reprint of the August 1951 (US) issue. Details taken from eBay listing. Incomplete Data - Issue not found - it is unclear quite which issue this is. Partial reprint of the May 1951 (US) issue. Date based on Atlas advert. Details supplied by Terry Gibbons. Partial reprint of the November 1952 (US) issue. Date based on Atlas advert. Details supplied by Terry Gibbons. Partial reprint of the May 1953 (US) issue. 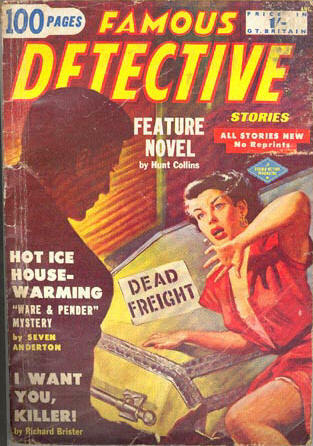 Partial reprint of the February 1953 (US) issue, plus one item from elsewhere. 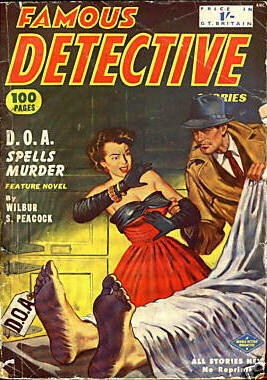 Reprint of the February 1954 (US) issue, plus a single story from Smashing Detective. Details supplied by John Eggeling. 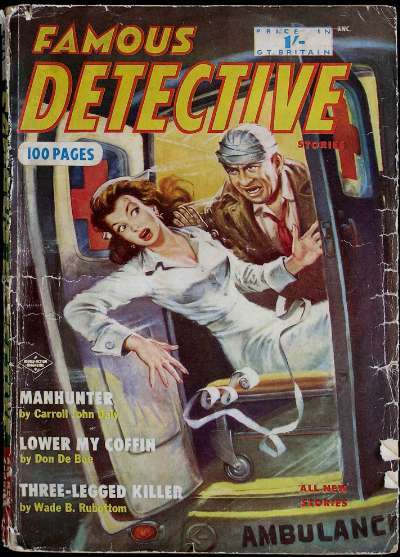 Reprint of the November 1953 (US) issue, plus a single item from elsewhere. 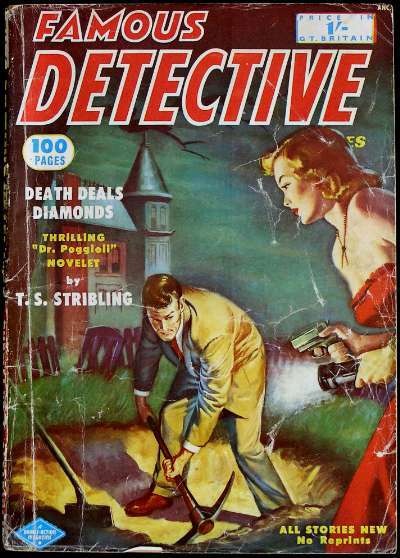 47 · The Luck of Leavenworth Louis · Thomas Thursday · ss Famous Detective Stories Nov 1953; a rewrite of his story Sing Sing Sweeney (Detective Story Magazine, January 1947). Reprint of the June 1954 (US) issue. Date based on Atlas advert. Details supplied by Terry Gibbons. 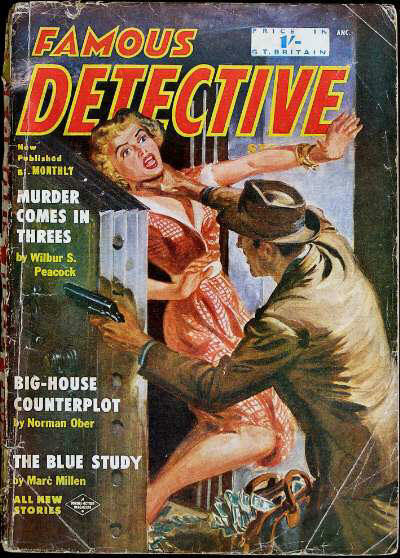 Reprint of the August 1954 (US) issue. Date based on Atlas advert. Details supplied by Terry Gibbons. --- see under Swan American Magazine. 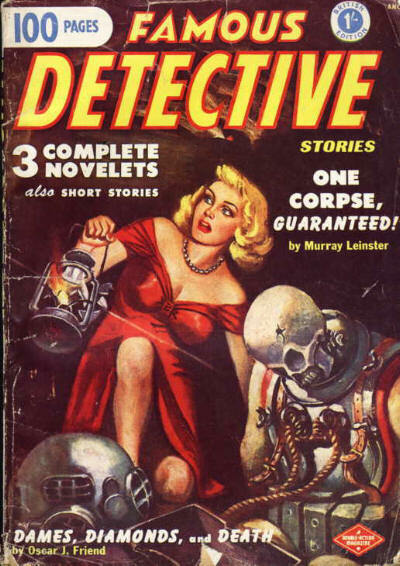 Short-lived experiment containing current best-sellers digested by the best-selling Craig Rice for smooth, speedy reading of your favourite mystery writers. It only lasted for two issues. The White Priory Murders [Sir Henry Merrivale] · Carter Dickson; adapted by Craig Rice · n. Morrow 1934; condensed. The Sister of Cain · Mary Collins; adapted by Craig Rice · n. Scribners 1943; condensed. 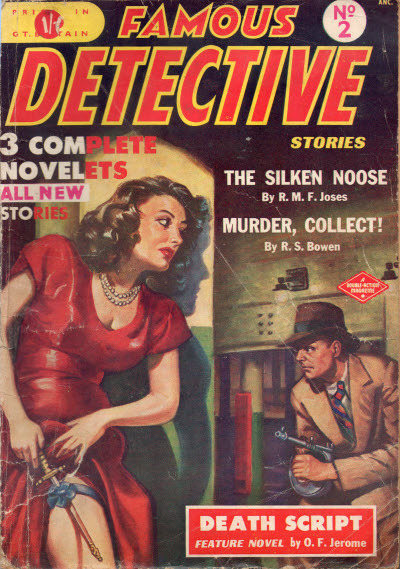 The Sunday Pigeon Murders [Bingo Riggs; Handsome Kusak] · Craig Rice · n. Simon & Schuster 1942; condensed. Dont Catch Me [Arab Blake; Andy Blake] · Richard Powell; adapted by Craig Rice · n. Simon & Schuster 1942; condensed. O as in Omen · Lawrence Treat; adapted by Craig Rice · n. Duell, Sloane, Pearce 1943; condensed. 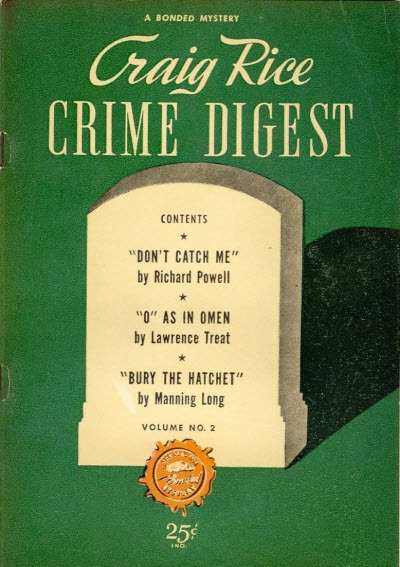 Bury the Hatchet [Liz Parrott] · Manning Long; adapted by Craig Rice · n. Duell, Sloane, Pearce 1944; condensed. 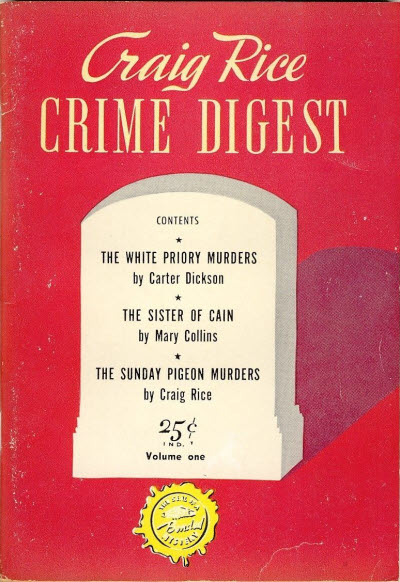 The Craig Rice Mystery Digest contained four abridged novels and, although in digest form, was really an anthology issued as #12 in the Bonded Collection. In effect, it served as a trial balloon for Craig Rice Crime Digest which was to be launched later in the year. Prelude for War [Simon Templar (The Saint)] · Leslie Charteris · n. Cosmopolitan May 1938; abridged. Bamboo Blonde · Dorothy B. Hughes · n. Duell, Sloane, Pearce 1941; abridged. 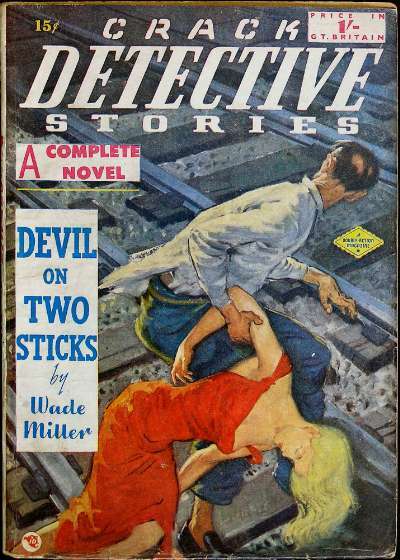 The Big Midget Murders [John J. Malone] · Craig Rice · n. Simon & Schuster 1942; abridged. Cold Steal [Leonidas Witherall] · Alice Tilton · n. W.W. Norton 1939; abridged. 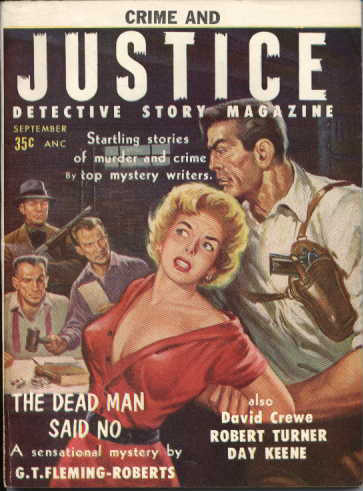 --- see under John Creasey Mystery Magazine. 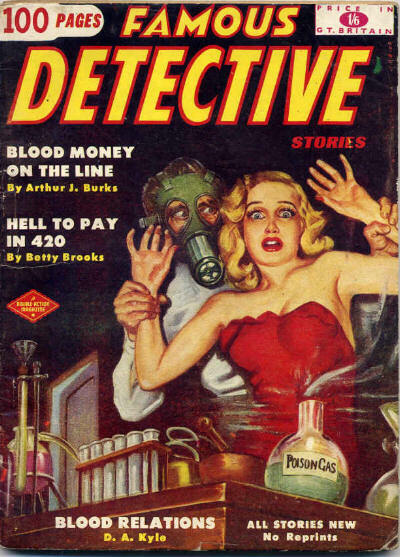 Really a gangster magazine with the atmosphere of a 40s pulp. Old-time writers G.T. Fleming-Roberts and Robert Sidney Bowen appeared alongside newcomers Harlan Ellison and Edward D. Hoch.